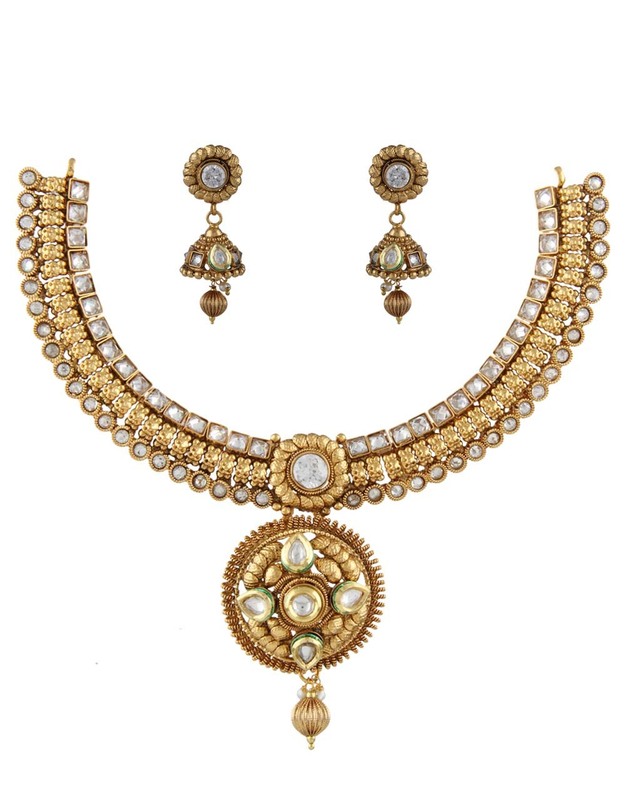 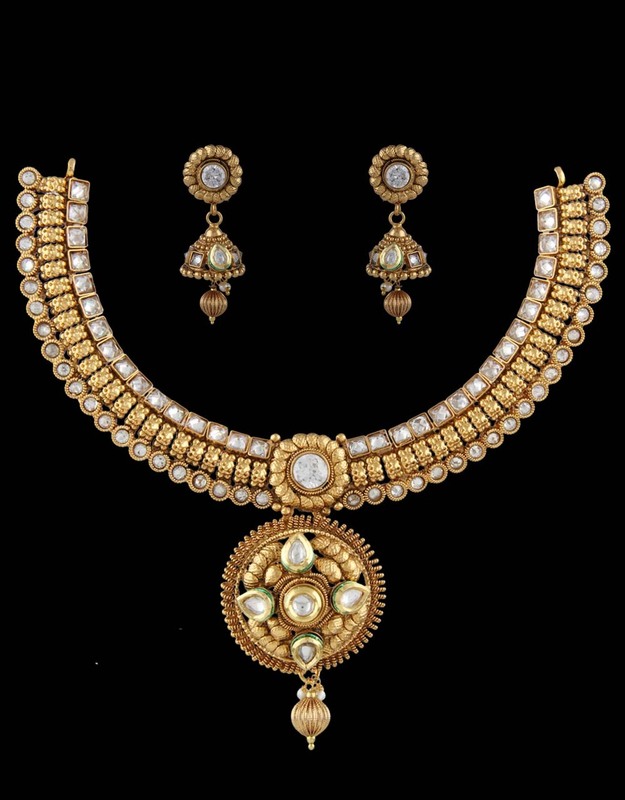 Make a unique addition to your accessory collection by adding this golden colored necklace set from Anuradha Art Jewellery. 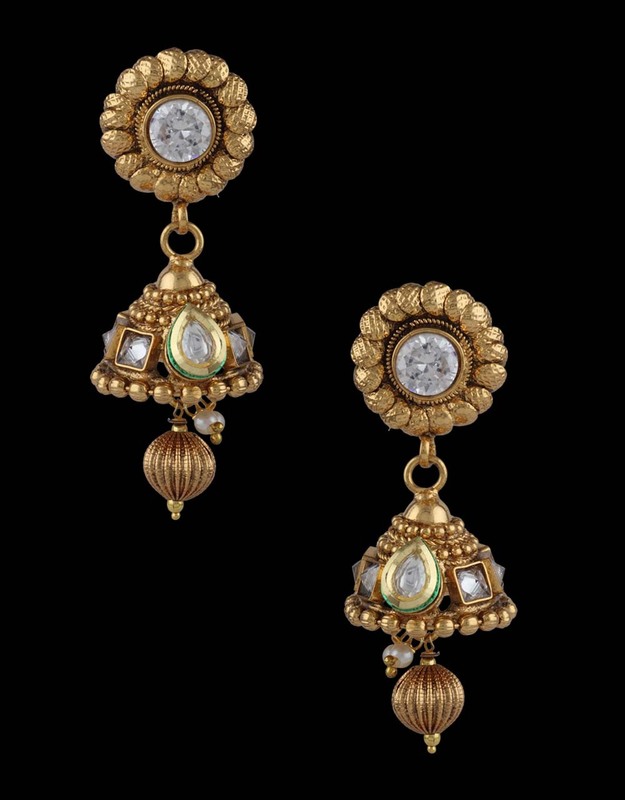 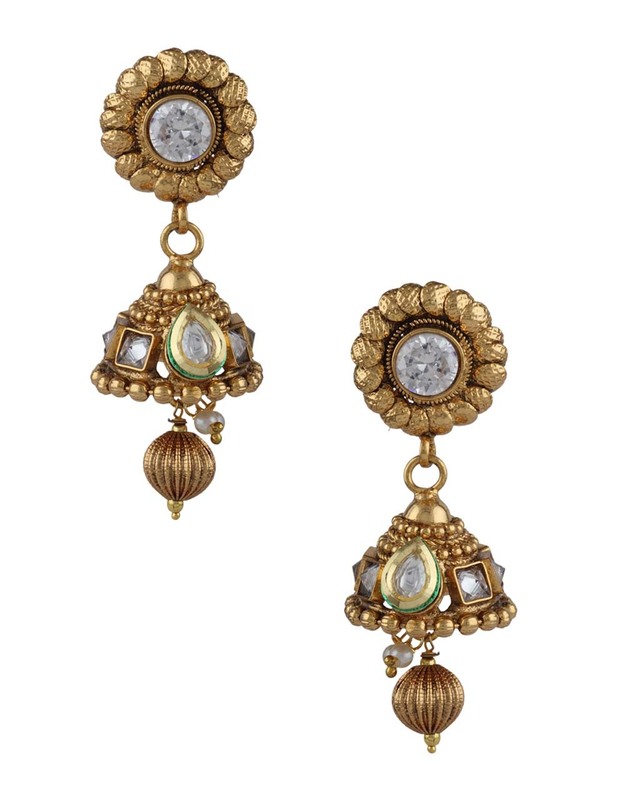 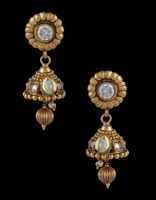 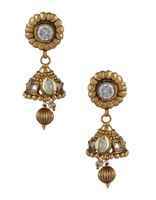 It is perfectly studded with white colored stones & kundan; crafted from 40% silver & golden polished copper. 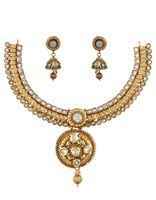 This set is durable & will last for many years.